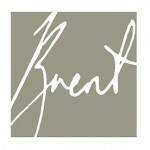 Brent Forrest is a Database & Web Coordinator based in London. Another string to his bow is that he is also a professional freelance photographer. Brent has always been a keen photographer but took this craft to a new level professionally in 2010. Brent approached me to design for him a logo so that he could start expanding and marketing his photography services to a wider audience.